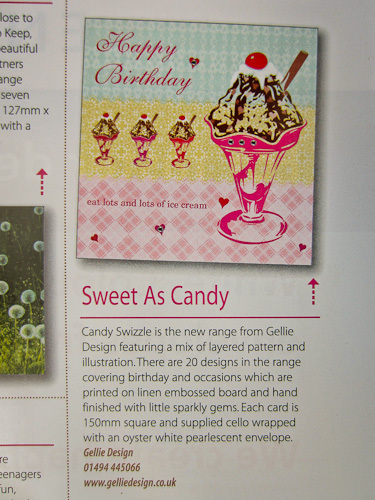 Gellie Design is excited to see our New Candy Swizzle card range featured in the Innovations New Product Releases section of April’s issue of Progressive Greetings magazine on page33. The card shown is our fantastic Birthday Ice Cream Sundae (Code:CS06) which you can find here…Clicky! We hope you like it as much as we do!! !